Fire safety protection doesn’t have to burn a hole through your wallet. Rent a Fire Extinguisher Today! Allow Chase Fire to work with you to provide adequate fire safety compliance solutions for events, conventions, weddings, golfing, camping, sporting, movies, TV shows, racing tracks, and other temporary productions. Our Fire Extinguisher rental program is a more affordable solution than purchasing and storing fire extinguishers for the long-term. All of our extinguishers are fully inspected and up-to-date so that you have the peace-of-mind in case of a fire or a surprise fire safety inspection. 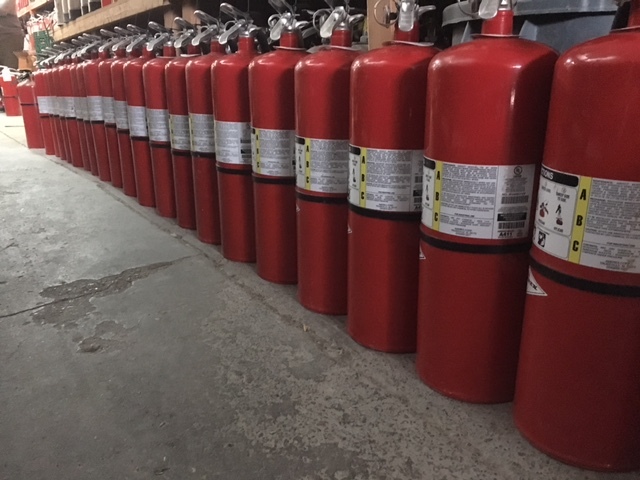 Our fully stocked warehouse offers refurbished fire extinguishers for sale, usually 1-2 years old that come fully inspected and refilled upon purchase or rental. We also allow purchase of our refurbished fire extinguishers. Call us at 718-383-8000 or use the contact form to receive a fast and free quote. Yes! We cover Ashburn and surrounding areas.